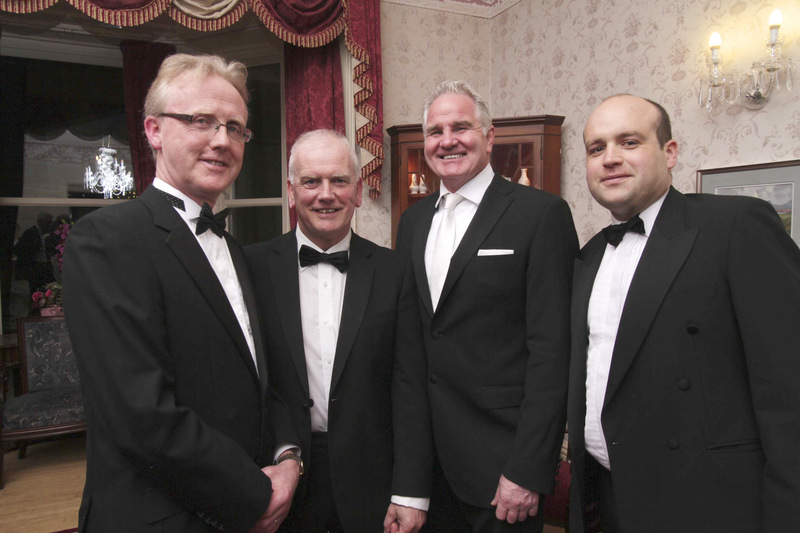 (Left to right): Andrew Nugent, SCSI Vice President, Frank Greene, President of the Galway Chamber, Brent Pope, guest speaker and Aengus Burns, Grand Thornton. The Western Region Annual Dinner took place on Friday, March 27 in the Ardilaun Hotel, Galway. The dinner was very well attended with over 200 members present on the evening, a significant increase on last year. Jim Drew, Chairman of the Western Region addressed the audience and invited members to get involved in the Regional Committee. He welcomed the new Building Control Amendment Regulations with renewed optimism for better regulation and growth in the sector. Andrew Nugent, Vice President of the Society encouraged members to raise the profile of the Society and to promote the surveying discipline to young prospective students seeking to pursue the profession. The guest speaker on the night was Brent Pope, the former New Zealand rugby player and rugby. Brent entertained guests with tales of his rugby encounters and of the characters he felt he was lucky to have worked with. Members remained to chat long into the evening, with plans already afoot for our 2016. Our thanks to myhome.ie for supporting the event.